Sunblock is a big concern for many people. So is finding an effective sunblock that doesn’t leave a white cast when applied. Add to the mix the requirement that the sunblock provide physical, as opposed to chemical protection, and be toxin-free, and you are basically looking for a needle in a haystack. This past March, I found my needle and joyously declared that my own personal, seemingly never-ending search for a non-whitening, toxin-free, physical sunblock had finally come to an end. I sang the praises of Josh Rosebrook’s Nutrient Day Cream with SPF 30 Non-Nano Zinc Oxide, and never looked elsewhere. Until now. At the time I opened my July 2016 Beauty Heroes Subscription Box, I wasn’t actively looking for a new sunblock. But when Jeannie puts the Beauty Heroes stamp of approval on a product and includes it in the Subscription Box, you try it. And so I did. The July 2016 hero product was Kari Gran’s Three Sixty Five SPF 28, which owes its name, in part, to the fact that we should be wearing sunblock every single day of the year. The main reason I was excited to try Three Sixty Five was my hope that it would give those of us with dark brown skin another option for toxin-free, non-whitening and effective sun protection. This is especially important because, (1) options are good, and (2) those who are concerned about nano-particles might have some hesitation about using the only other sunblock that makes the grade – Nutrient Day Cream. 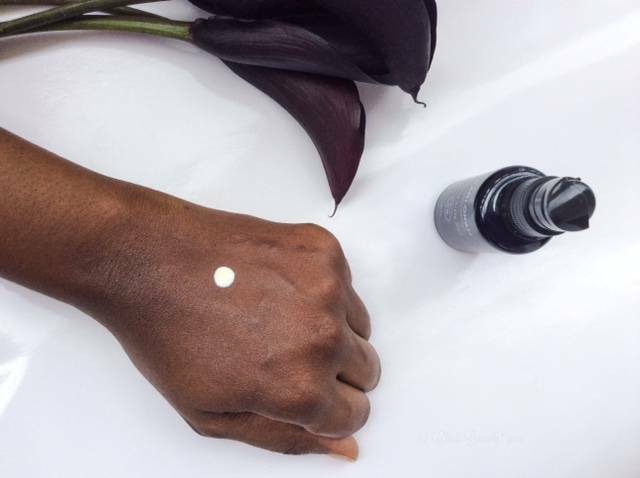 After publishing my blog post on Josh Rosebrook’s Nutrient Day Cream, I came across an article by W.S. Badger, Inc., titled “Why Doesn’t Badger Use Clear Zinc Oxide?” I highly recommend that you take the time to read the entire article, which explains the essentials we should all know about non-nano zinc oxide. Initially, we get a definition of “nanoparticles,” which are “any particles that are smaller than 100 nanometers (billionths of a meter).” Badger then explains that nanoparticles became an area of concern because they are so small that they are thought to be able to “penetrate the skin to enter living tissue.” There are so many unknowns about the effects of a product penetrating living tissue that nanoparticles were not viewed as safe. Badger did its own research, putting ZinClear, the brand name of the first non-nano zinc oxide powder, under a microscope. Badger saw that non-nano zinc oxide is actually nano zinc-oxide particles fused together to form non-nano particles that are too large to be absorbed by living cell tissue. These particles are technically non-nano because they have been fused together to form larger particles, but their classification is not as straightforward as the name “non-nano” implies. “Fused-nano” or something similar might be more accurate, but obviously less effective for marketing. Meanwhile, use of zinc oxide nano particles in sunscreen was found to pose no real health concerns. Unless and until Kari Gran discloses exactly what type of non-nano zinc oxide she uses, or until someone puts it under a microscope, we have no way of knowing with any real degree of certainty. Until then, because Three Sixty Five is zinc oxide based and can be transparent when applied, I will assume that it, and all other similar sunblocks, use ZinClear or some other fused-nano zinc oxide. The first thing I noticed about Three Sixty Five SPF 28 is that its texture, described as serum-like, is extremely watery. This is not necessarily a bad thing as the texture makes it easier to apply and blend than thicker zinc oxide sunblocks. Also, Kari Gran was thoughtful enough to choose great packaging for this sunblock so it can be easily applied without making a mess or leaking in your makeup bag. Three Sixty Five SPF 28 has a silky, smooth, oily texture. It is so delightful to the touch that the texture coaxes you to massage it into your skin. This is truly the most luxurious sunscreen I have encountered. The scent is neither good nor bad. Most noticeably, the scent is a little chalky, as you might expect, and has a faint castor oil aroma, but is otherwise unremarkable. Given the ingredients list, it should be no surprise that Three Sixty Five SPF 28 is quite oily when applied. I tend to have oily skin, and it did not make my face look greasy or disgusting. But if you are going for a matte look you’ll definitely need to blot, apply powder, or otherwise dull the shine of this sunblock after application. The directions suggest applying a moisturizer before applying Three Sixty Five SPF 28. 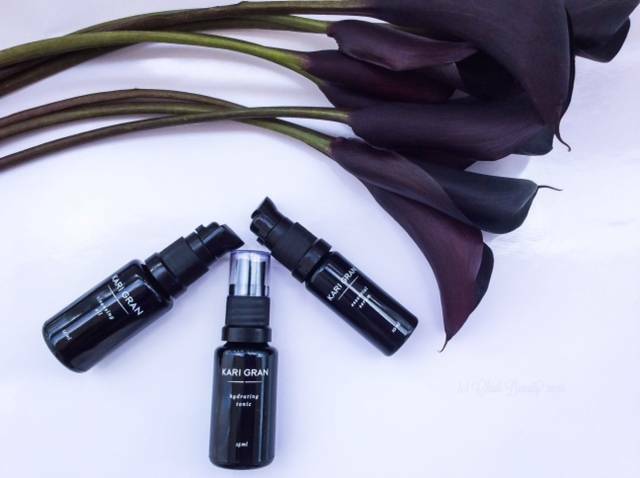 Naturally, Kari Gran suggests using her Essential Serum. As a rule, I prefer not to use serums during the daytime because, even though I might be wrong, it doesn’t seem like a wise idea to apply oil to my face before going out into the sun. I know some oils are said to have sun protection properties, but even when followed by a layer of sunblock it just doesn’t seem like the best thing to do. So, throwing caution to the wind, I tried the serum + sunblock combination, and spent my day walking around looking like I had applied oil to my face and walked out the door. The serum + sunblock combo might work if you have dry skin, but for those of us with oily skin the final look is just unnecessarily shiny. Again, my face did not look greasy or disgusting, but the shine was enough to be somewhat unflattering. Normally, I apply a lotion moisturizer before my sunblock. So I also tried Three Sixty Five with my current facial moisturizer, Graydon’s Green Cream. The combination worked beautifully. It was less shiny than the serum + sunblock combo, but by no means was I left with a powdery or matte finish. 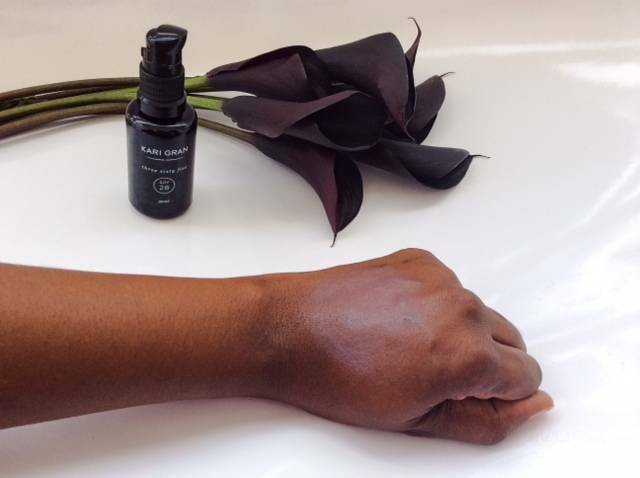 Surprisingly, when layered over either a serum or lotion, Keri Gran’s Three Sixty Five does not leave behind that dreaded white cast. Even on my dark brown skin. I actually asked for a second opinion to make sure my eyes weren’t playing tricks on me (1980’s hip hop fans, take a 30-second music break here), and was told that there was no sign of any white cast on my face. Hooray! That officially means I can add Three Sixty Five SPF 28 to my beauty cabinet as another option for a clean, physical sunblock that looks good on dark brown skin. But wait! Don’t run out and apply this sunblock all willy nilly just yet. It only works well if you follow two important rules. First, under no circumstances are you to ever, ever apply Three Sixty Five SPF 28 on damp skin without a moisturizer. I did this just to see what the result would be (yes, I love Chidi Beauty’s readers), and it looked like the Blue Man Group had started taking applications from women. It was terrible. And no amount of massaging, rubbing or coaxing would make it blend into my skin. I basically had to wash my face and start over. I also tried this sunblock on dry skin with no moisturizer underneath and the result was also no bueno. So moisturizer of some sort is a must. Second, to ensure that there is no white cast, you must massage the sunblock into your skin for a minimum of 30 seconds to 1 minute. Remember that that is the minimum. Yes, this sunblock takes a little work to blend in, but the end result is totally worthwhile. I won’t say anything about the effectiveness of Three Sixty Five. Given the results of recent independent reviews of various sun protection products (lotions, sprays, powders, etc. ), I prefer to leave that to the experts who have legit, scientific means of testing whether sun protection products actually live up to their claims. What I can say is that my skin fared well while wearing this sunblock, and I did not suffer any sun damage in addition to what I already have. This physical sunblock is toxin-free and non-whitening. I am equally pleased that it is transparent on dark brown skin. 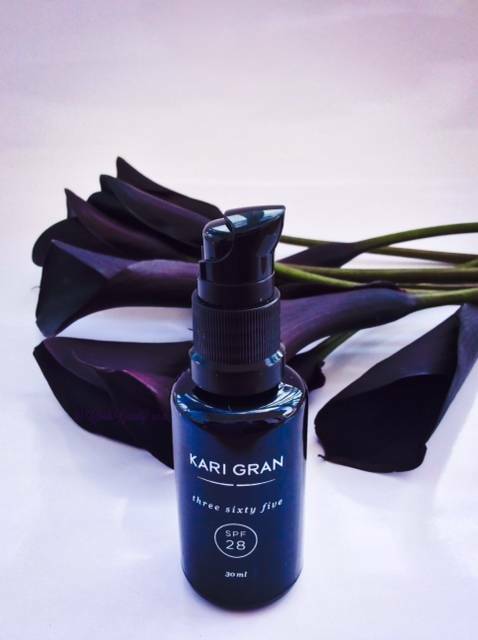 Kari Gran Three Sixty Five SPF 28 melts into the skin completely, and is easy to wash off. 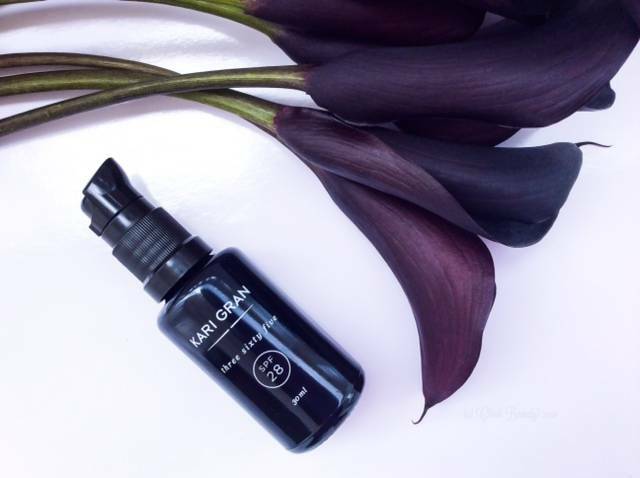 This remains true whether you are blending and washing using other Kari Gran products or products from your other favourite natural beauty brands. When used alongside her Cleansing Oil, Hydrating Tonic and Essential Serum, you really do have a great skin care system, even for oily skin (though I did have to double cleanse in the evening using my regular facial cleanser following the Cleansing Oil). Using this sunblock is a little more like baking than cooking; it is more science than art. Using a moisturizer underneath is an absolute must. Likewise, applying this sunblock onto dry or damp skin without a moisturizer is an absolute no-no. Also, knowing the science behind “clear” or “non-whitening” zinc oxide, I would prefer that brands not label ZinClear and similar products as “non-nano.” Technically they are non-nano, but that is an incomplete, and thus inaccurate explanation of what the ingredient really is. Is it permissible and accurate? Yes. But I prefer full disclosure. As it stands right now, there is no way to be certain concerning the type of zinc oxide used in this sunblock, but because it applies clear I have to assume it is ZinClear or something similar. At $48.00 for a 30 mL/1.0 oz bottle, Three Sixty Five SPF 28 is actually more expensive than 60 mL, but cheaper than 30mL of the Josh Rosebrook Nutrient Day Cream. Keep in mind that the full size bottle of Three Sixty Five is half the volume of a full size bottle of a Nutrient Day Cream, so the initial sticker shock is less. Opaque yet technically truthful marketing concerning nano and non-nano zinc oxide is something I can’t hold against any brand because, at the end of the day, that is the nature of marketing. It takes a little bit of work to use this sunblock, but the end result is great. 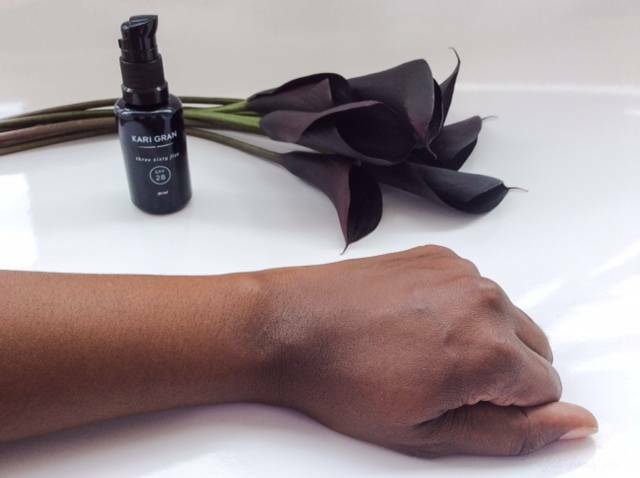 While Three Sixty Five SPF 28 might be a little pricey, it is full of great, high quality ingredients that might actually improve the condition of your skin. All-in-all, this is a well-formulated, luxurious, sunblock with great ingredients. I enjoy wearing it and would recommend it to others with dark brown, oily skin like me. *(1) This is a joke, and (2) no, this is not a sponsored post. Thanks for the review. Am in the market for sunscreen and have narrowed down to this one and the Josh sunscreen. Thanks for your comment Yana. The Josh Rosebrook sunscreen is definitely more invisible on darker skin tones, but both are good. Let me know which one you choose! Thanks for your lovely comment Zita! Yes, it sounds like our skin type is similar – especially with the eruptions after using shea butter, lol! I was definitely pleasantly surprised that my skin did not have an adverse reaction to Nutrient Day Cream. 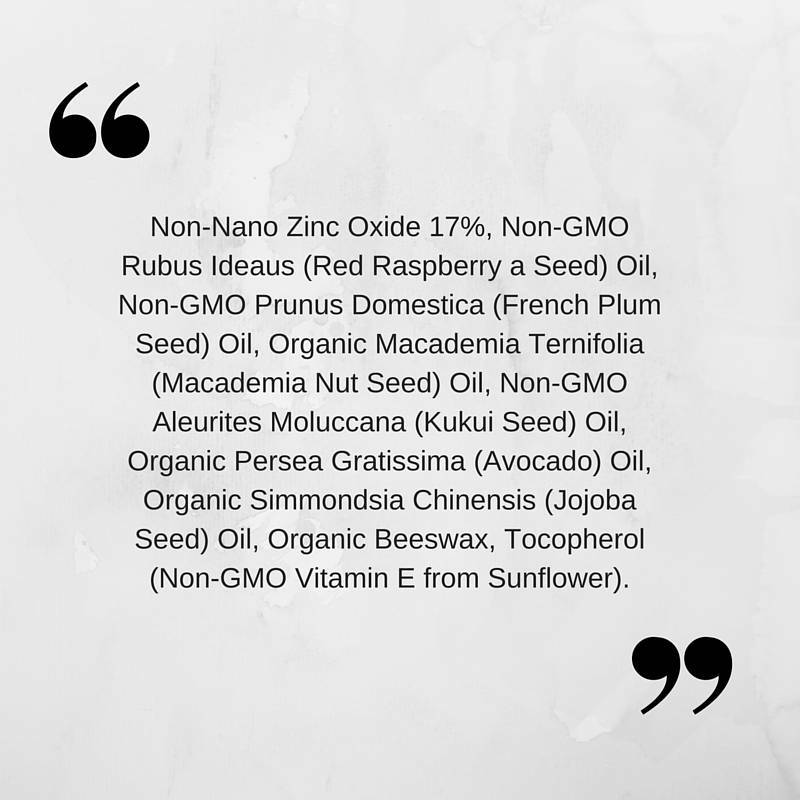 I would suggest ordering a sample of Nutrient Day Cream from Josh Rosebrook’s website. 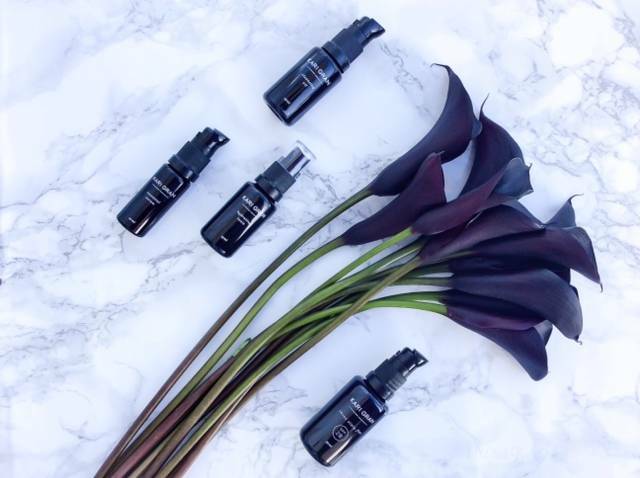 You can also get a sample of 365 from Integrity Botanicals with any purchase, and then compare the two for yourself. I would love to know which one you choose, and how it works for you. Please check back in and let me know! 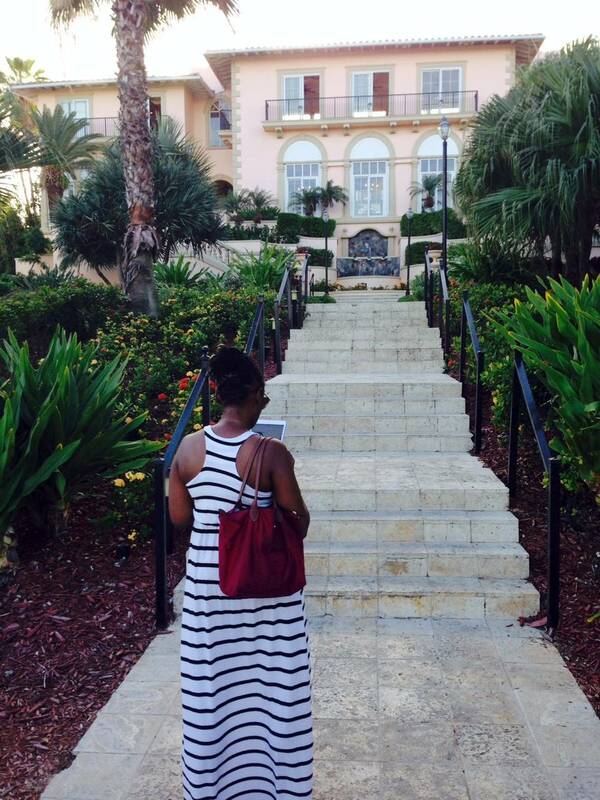 I’m a little late to the post but awesome blog by the way. Josh Rosebrook has a product that has 12 % zinc oxide, which suspending in non thick base…would blend clear….it isn’t enough zinc to really leave too much of a white cast…once you pass 15% non-nano…then we’re going in to that territory where blending will be tricky. I’d say anything about 15-20% that blends clear…is definitely nano… even 20% can eventually blend in non-nano…. it really just depends on the difficulty and the suspension base of the zinc. Thanks for the insight, Alex. I regularly use Josh Rosebrook’s Nutrient Day Cream, and as you correctly said, it is clear. You sound like a product formulator – are you? Which sunblock(s) do you enjoy? I wish there were more clear options that are zinc oxide based. I kind of wish I was a formulator but I do know a lot of formulators and chemist friends. I’ve also been in this zinc oxide sunscreen game for a really long time. Non-nano zinc at above 15 % can seem like paint in any formulation. At the moment I’m using ursa major force field which has 10% non-nano zinc and blends great under an oil. I’m going back to Josh Rosebrook for the summer though. Devita used to have one that had 19% and claimed non-nano but it disappeared completely…as it has no zinc whatsoever. I’m all for blending in eventually but if it disappears on contact…it can be suspicious…even nano will be a bit white at first (I’ve used keys soap solar Rx which is nano but in a thicker base). Because I have a deeper tone I tend to not want anything with too high of a zinc oxide percentage. It’s exciting because the industry isn’t what it was 10 years ago and now formulators can’t just come out with any old thing…even non-nano can be quiet elegant in a good formulation. I like that Josh is quite savvy about the oils and other ingredients which will help boost the protection factor even slightly. I just wish it wasn’t so expensive. Josh Rosebrook really is the only brand that is getting it right at the moment. The price tag is a lot, but until a quality product that is more affordable comes along I see it as a worthwhile investment. Who knows, maybe you will create that more affordable clear sunblock some day. Hi!…I’m a little worried about protection of this product. You can see the zinc oxide particules at the bottom of the product. So they advice to shake well before use. But what happen if i dont shake well, or it not enough… That protect me? In that way, is more effective or secure a cream? Thanks for your comment Rebecca. Yes, I notice that sunblocks say to shake well before use – probably to address the same concern you raised with seeing zinc particles at the bottom; ineffective sunblock. It seems logical that if we do not follow the directions the sunblock may be ineffective. But I am no expert. I would like to hear from a product formulator, or better yet Kari Gran on this issue. Have you been sunburned while using Three Sixty Five? I’ve asked to Kari Gran in her Instagram account. So lets see what they say about if it’s effective. Usually the sunblocks coming in sticks or creams where the zinc oxide is the same quantity in all product. But that not happen with oils. I’ll back if i have a response from Kari Gran…. and happy to hear from a formulator over here. I’m glad you have been doing well with Three Sixty Five thus far. Please let us know what Kari Gran says if she responds. Then….as you can see in the article “The trouble with making your own sunscreen” she say that it’s not simple as add zinc oxide to the formula. And i personally think that this brand did it just this. For me it’s not a safe sunscreen . Sometimes zinc oxide it’s very hard on the bottom, so you cannot be sure that when you simplely shake the product all particles moves. Hello Rebeca, We have posted a response on Instagram. We do not add any emulsifying wax to our formulation which is why our directions ask to shake well prior to use. We would also agree with you that a product for the beach or high sun exposure would be something that would have some water resistance or even a higher SPF for greater protection. Thank you for using the product daily. Thank you for your response Kari! We appreciate being well-informed about our products – both the ones we may want to avoid, and the ones we may want to use, like yours. Thank you very much for your response and explanation. I really appreciate. Thanks for your comment Monique. From Kari Gran’s response, I understand that this is a good sunblock for those who do not spend a lot of time in the sun. If you are going to the beach or plan to spend a lot of time outdoors a sunscreen that is water resistant and has a higher SPF would be recommended. HTH! i just got the kari gran 365 spf 28 and wonder if anyone else finds the scent unappealing? maybe it’s a small complaint, but im a believer of aromatherapy. i’ve been using josh’s spf but was hoping to find something more cost effective. It has been about two years since I tried this sunblock and I have not used it since. I don’t remember anything remarkable about the scent. And since I can be quite sensitive to scent I would have included my thoughts in this review if anything had stood out to me. Hopefully someone else can chime in here. Thank you for your review on JB daily spf and this Kari spf 28. I have been doing my independent research on sunscreens and came upon your blog. 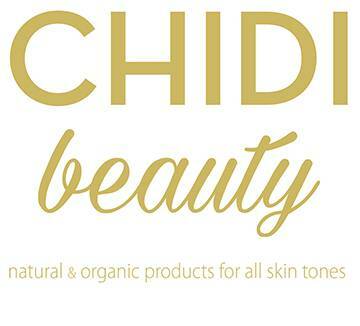 Thank you for the review on darker skin tones. It sounds like you have found some wonderful spf protection for your face. I was wondering if you use or have found appropriate spf for your body? Good day Ekpa! Thank you for your comment. I tend not to spend a lot of time outdoors. So when I do spend significant time in the sun I tend to use whatever body sunblock is convenient for me to buy. I’ve had my eye on some products, but I really have not been motivated to find a clean sunblock for the body just yet.